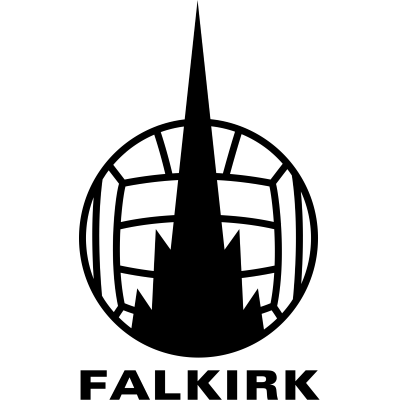 Continuing with the 3-5-2 formation introduced at Pittodrie last weekend, in came recent signings Lee Wilkie and Grant Smith for their first team debuts. 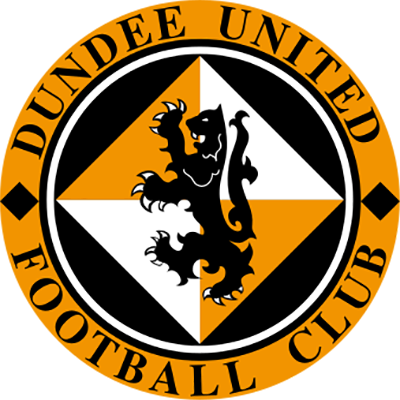 Also making their first starts in the SPL were young goalkeeper Euan McLean, striker David Goodwillie and midfielder Gregg Burnett who was handed the unenviable task of trying to keep Russell Latapy under wraps. 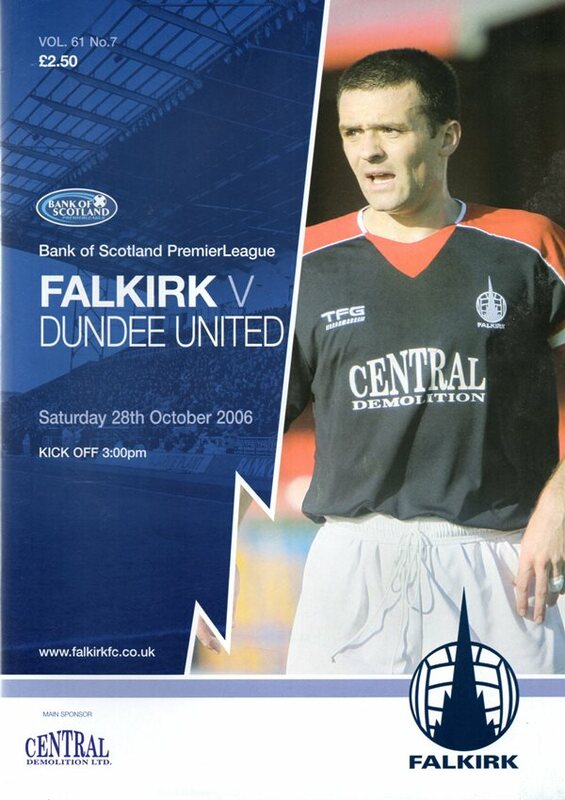 But from start to finish United failed to get to grips with Falkirk’s live-wire front pairing of Tony Stokes and Alan Gow, with Latapy pulling the strings just behind. Less than two minutes were on the clock when a fine counter-attacking move was completed with Stokes and Gow combining to set up Latapy who slotted home from eight yards. An early set-back, but United battled away and twice came close to equalising through Noel Hunt. First, put through on goal by a fine Goodwillie pass, the little striker seemed to be scythed down in the penalty box by Kenny Milne – only for a goal-kick to be awarded. Then, just after the half hour mark Hunt latched on to Grant Smith’s deflected shot and looked to have scored with a low drive but Lambers recovered brilliantly to palm the ball away via the post. United keeper McLean hadn’t been troubled since picking the ball out of the net – but disaster struck for the visitors just six minutes before half time. The unfortunate Proctor appeared to slip whilst in possession in the penalty box, and Stokes finished with composure to give Falkirk a two goal cushion at the break. Two changes in personnel at half time for United – Samuel and Kerr replacing Burnett and Proctor – but things quickly went from bad to worse after the interval. An apparent break down in communication at the back seemed to leave Wilkie unaware of Stokes’s presence, allowing the on-loan Gunner to run though on goal and claim his second and Falkirk’s third. One last change for United saw Conway replace Goodwillie, but any hope of a revival disappeared with Hunt receiving a second yellow card for a tackle on Milne. Substitute Conway’s fine cross from the left did set up Collin Samuel for a headed goal with twenty minutes remaining, but the three goal lead was restored five minutes later when further defensive disorganisation let Marc Twaddle tap home from close range after a Latapy free-kick – 4 v 1. The game drifted towards the final whistle, but as if to provide a neat summary of United’s problems they lost a fifth just a minute before full time. Lee Mair lost possession cheaply, allowing Stokes to charge into the visitors’ penalty box. Lee Wilkie attempted to recover the situation for United, only to see referee McDonald award a somewhat questionable penalty. Stokes completed his hat-trick from the spot.